The Tweetosphere (Is that a word?) is chirping at the 2012 UM General Conference. Much of it has been helpful and insightful to read (as insightful as one can be in 120 characters or less), but all too much of it has been very disturbing and less than charitable for those who claim to follow Jesus. Words have power - let us monitor our words so that we don't lose the love we have for one another in Christ Jesus.... The tweets I read last night were damaging. If I had read them as a person to whom they were directed, I think I would have been devastated to think that my message was so misread. I have great respect for leaders in the church who have the courage to stand up and be counted, who are willing to stand in the line of fire because they want the United Methodist Church to be a more faithful church. I have great admiration for Adam Hamilton who has been and continues to be a faithful pastor. I realize that because he is the lead pastor of a "mega-church," which for some Methodist pastors with a case of male reproductive organ envy, think he has nothing significant to offer, because if you haven't counted, "mega-church" is a four-letter word. On the contrary, there is good reason why Adam is before the Conference and is rightfully recognized as one of our most important pastors. There are things I like about Call to Action and things I'm not crazy about. I have appreciated the insights of all those who support CTA and those who don't. There's some real good discussion going on between those who don't agree. We should listen to the thoughtful persons on both sides. As for the insulting and character maligning tweets from some of the other people called Methodists, let me submit that such "drive-by shootings" are conducted by those who have the least to say and the least to offer; and it is for good reason that they are not standing before the General Conference in Tampa. I have to say that there is a part of me that hopes that CTA will pass simply because there comes a time when rushing in where angels fear to tread beats paralysis by analysis. Anyone who knows me knows I have made quite a living at the former. I'd rather fail on the journey than fail by standing still. So thanks to Adam and others on both sides who have stood up, shown some courage, and are attempting to move this conversation forward. 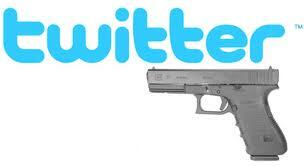 As for the drive-by Twitterers-- it's best for you to put up your weapon and not confirm your irrelevance. As Mark Twain once said, "It is better to keep your phone off and let people think you're a fool than to Tweet and remove all doubt."... Well, he said something like that. Thank you Allan. As I tweeted last night it felt very negative and snarky. There were people on both sides who would slam or lift up what was being said. It was almost like no one was listening but taking the moment to listened to. I'm glad I can go back into the archives and watch it again without the feed going 100mph. I agree, Allan. Twitter is an awesome, and unprecedented, means of communication. It can be a place for holy conferencing, but it can also be a place for less than holy conferencing. Great words from you and Theresa both. Issues of fear and anxiety also have appeared very present which I noted today in my blog. What also is lacking in critiquing Adam Hamilton and COR is he has led it from baby to mega-church. He is as UM as pastors have come. We've had other UM church planters leave and take the church with them. Adam hasn't done that or ever threatened to do it. I'm not much for the arguments from large churches for CTA. We need to be more gracious on both sides of this. I hear the fear and anxiety being spoken too. It doesn't justify such tones. Best Tweet I saw today? By @matt_judkins, "I've deleted twenty tweets today. I consider that evidence of the Holy Spirit. Praying instead. #gc2012 #gcyp"
Can I just say I love that Mark Twain quote at the end? Hahaha great post, bro! This why I love your blog, Allan! Thanks for another great post.